Now just what exactly a winning recipe for a successful car launch consists of, we can’t really say for sure. But we imagine stringing together a few clever commercials featuring beautiful Romanian models and the “rockstar from Mars” himself, Charlie Sheen, can’t hurt. That’s because, according to The Detroit News, Chrysler has halted wholesale orders on the 2012 Fiat Abarth, so if you’re looking to get behind the wheel of one be prepared to wait. It’s not all bad news though. Fiat fans who have already dropped the coin, or are considering doing so, on the suped-up four-seater, three door hatchback take heart: While it will be necessary to exhibit a degree of patience, Chrysler will be shifting existing orders to the 2013 model year waiting list. And with the next Abarth installment said to be hitting showrooms in the fall, the wait won’t be nearly as bad as initially expected. The performance version of the compact car went on sale in April amid much excitement and fervor. And despite the fact that many Americans are still unfamiliar with the Italian race car maker, the 2012 Fiat Abarth debuted with stronger than anticipated sales. That trend seems to be continuing unabated as demand for the diminutive sports car steadily rises. Popularity of the Abarth on American shores has also been spurred on by a number of strong reviews from the automotive community and a string of clever ads accompanying the vehicle’s debut. In a statement issued to the Motor City newspaper, Chrysler attributed the shortage of 2012 Abarths to an initially limited production run, which was met with exceptional demand. 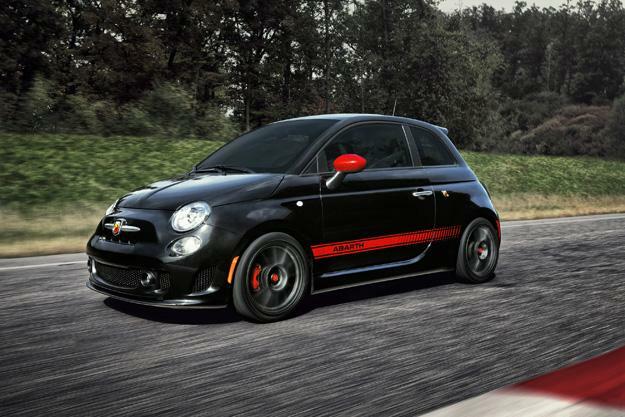 The Auburn Hills-based automaker originally planned on producing about 1,000 Abarth models for 2012. However, those were quickly snatched up by the end of the car’s first month on sale. Production was then increased to 3,000 units — the maximum amount Chrysler was able to pump out of its Fiat factory in Toluca, Mexico.